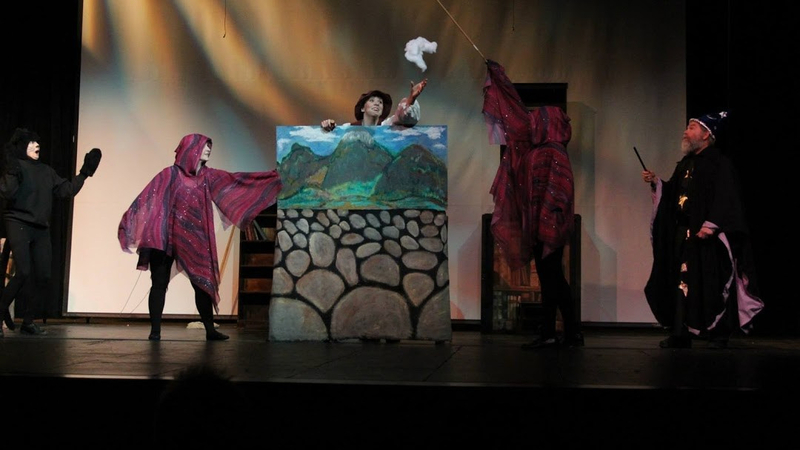 The Traveling Children’s Show is an annual production which performs for children at several area venues. The shows aim is to introduce children to the joys of theater through innovative, interactive plays. Started in 2001 by Village Playhouse founding member, Evvie Smith, as an extension of work she was doing with the Wauwatosa Rec Department, the Village Playhouse Traveling Children’s Show soon grew into a yearly treat for many youngsters. Performing at a variety of venues including schools, churches and even Summerfest, each production has helped to encourage joy and imagination in hundreds of Milwaukee children. Collecting the complete Village Playhouse history is an ongoing process. Please check back often, as we are adding more information about old productions daily. If you were involved in a production and have photos, flyers or press clippings you’d like us to add, please email them to webmaster@villageplayhouse.org.